While European companies already utilize tachographs to a full scale, the devices have become one of the trending topics in the Russian market of telematics. By means of tachographs fleet managers get to know if drivers violate freight carriage and passenger transportation conditions or get behind a wheel after extensive trips. Drivers in their turn can control driving and rest periods on their own and show better abidance by traffic regulations and special requirements to restricted articles and passengers transportation. Tachographs allow you to control all the above mentioned parameters, store data on violations and transfer it to dispatch centers. Just recently for those working with analog tachographs data communication process has been quite problematic. Data was recorded on a special diagram sheet where pictograms were drawn. Authorized personnel (road police officers or company managers, for instance) can read the data, if necessary. Today analog tachographs are almost out of use. Analog tachographs are gradually replaced with digital ones fitted with CIPF block. CIPF-equipped tachographs meet the requirements of mandatory remote DDD-files downloading directive, which is impossible for those using analog tachographs. Receiving data from CIPF tachographs doesn’t require company card authentication, which simplifies remote downloading of data on driver activity. Wialon users get DDD-files via special “query_DDD” command from commands sending menu and in a few seconds get relevant DDD-files. Several tachographs (Mercury TA-001, ATOL Drive 5) are equipped with integrated satellite monitoring unit and GSM modem. This allows drivers to send data on their activity and unit locations on their own. Other tachographs allow for data communication to Wialon system only when connected to external GPS-terminals. The examples of such CIPF-equipped tachographs with the option of DDD-files unloading are Mercury TA-001 (Incotex), ATOL Drive 5 (ATOL), Shtrih-TahoRus (Shtrih), Continental VDO 3283 (Vdomettem). Comprehensive list of tachographs and compatible GPS/GLONASS terminals is published on our website. There’s another type of digital tachographs on the territory of the Russian Federation – AETR tachographs (or “European tachographs”) – having international certificate of conformance and meeting the requirements of AERT international agreement. AETR tachographs installation is mandatory for vehicles performing international transportations (their use exclusively in the territory of the Russian Federation is permitted untill January 1st, 2018, with further necessity of purchasing the license to perform international transportation). The procedure of receiving DDD-files from AETR tachographs is far more complicated, as authorization with driver smart-card or company card is necessary. That’s why remote data reading demands such authorization. Relevant driver card must be installed in the corresponding tachograph card slot. Moreover satellite service manager must connect universal USB card reader to PC and insert company smart-card. By means of special application developed by Gurtam (download the app) data is read off from company smart-card and transferred to GPS-tracking terminal via mobile communications. The terminal forwards information to the tachograph for authentication procedure completion. For the moment the option of remote downloading is realized for Continental VDO1381 tachographs in conjunction with Ruptela FM TCO03 and TCO04 terminals. The functionality is also available when working with Galileo Sky v 5.0, but with no need for authorization (as for DDD-file unloading RS-232 connection is used). The works to extend the list of compatible terminals is in progress with Teltonika and BCE also pursuing the business line. 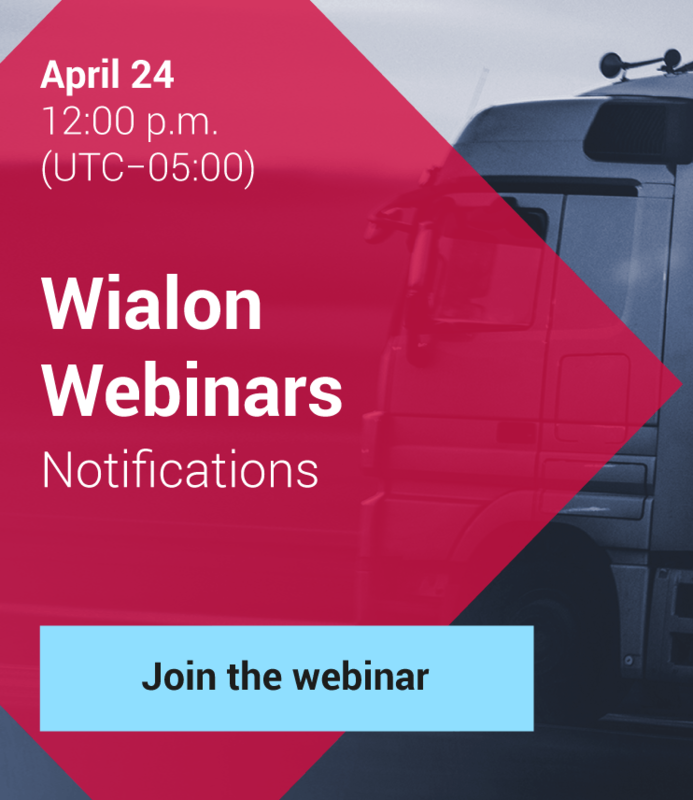 Wialon offers ample opportunities to work with DDD-files and online data on driver activity by means of Tacho Viewer and Tacho Manager applications. “Driver activity”. The information is displayed in a tabular form. 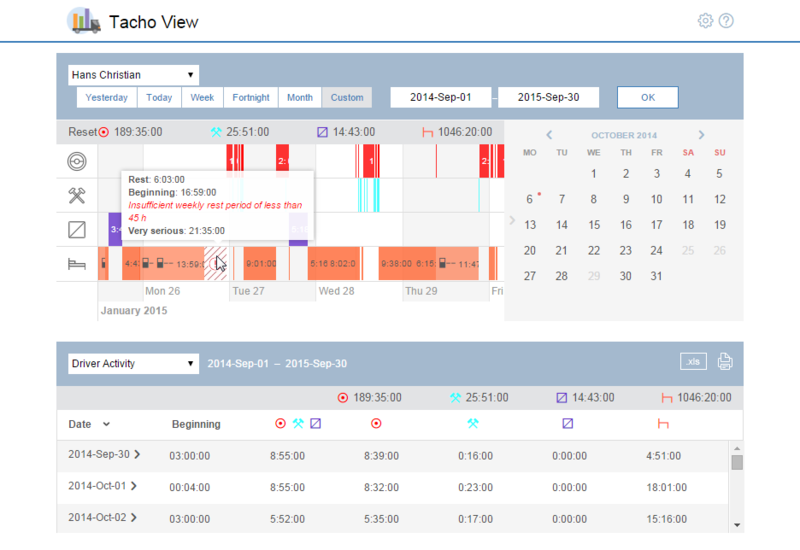 By choosing the necessary date you can see detailed driver activity over a specified period. “Activity chart”. The selected time period is divided into days where the information is displayed in diagrams (markers correlate with certain activity characteristics). The results of driver behavior analysis based on DDD-files and online data may be presented as a report and printed. 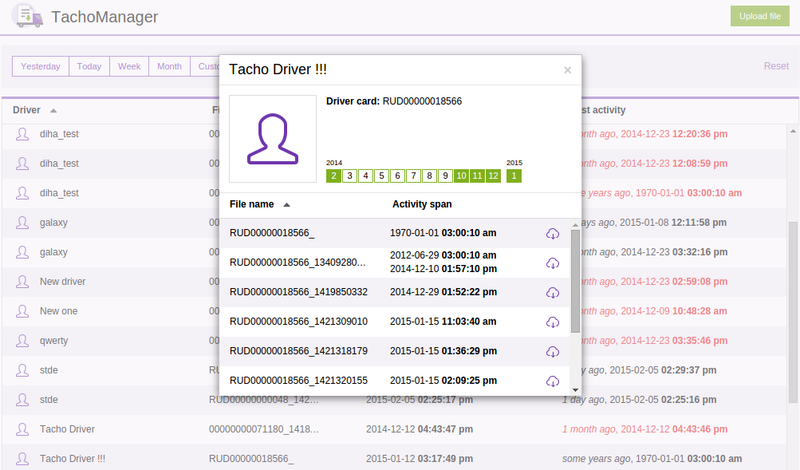 Tacho Manager is developed for manual or automatic (by means of a command) DDD-files uploading to Wialon server and their long-time storage. Handy data visualization allows for simple monitoring of driver activity due to availability of precise driver information. Considering the peculiarities of the US fleet management market, Gurtam has already made HOS/ELD app module available in Wialon for driver activity control. The solution is designed for the companies operating in the territory of the USA and Canada, where Electronic Logging Devices regulation comes into force. Therefore territorial restrictions hamper its application in the international market. Being the topic of current interest in 2016, tachographs are becoming the focus of Gurtam team. By some estimates in the near future there will be increased demand for onboard terminals integrated with tachographs both in the segment of already installed tachographs without GSM and the new segment, where clients need advanced monitoring functionality when compared to tachographs with built in GSM module. 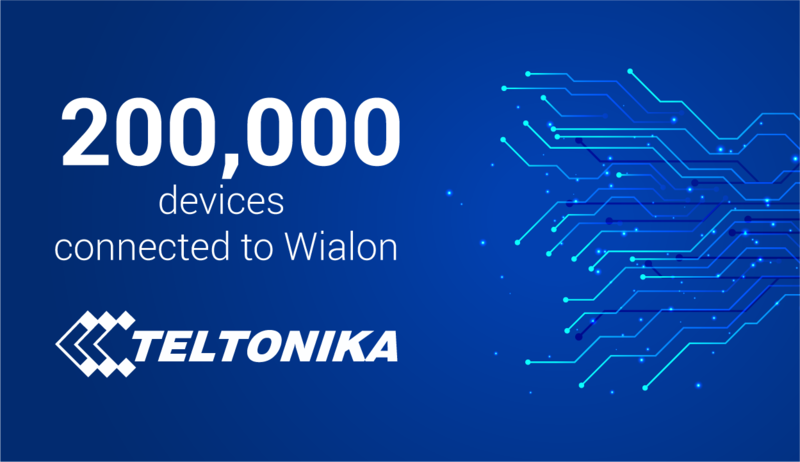 Consequently, the demand for Wialon solutions will increase.